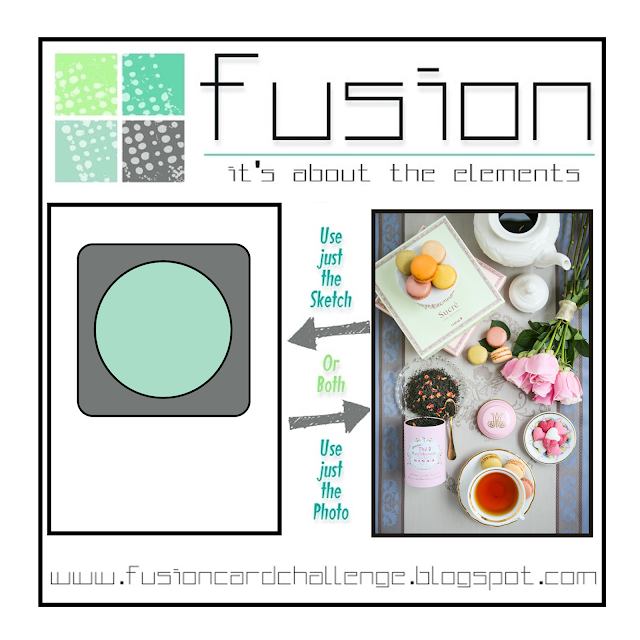 It's time for another Fusion Card Challenge and I have focused primarily on the sketch option. I did note the little plate of hearts in the photo so was inspired to use a heart as my focal point. This fun Heartstrings die set by Concord and 9th gives so many great options for design! I had this water colored piece in my leftover pile, so that was my starting point for colors. I used distress inks, but did not keep notes of the colors I used. The Iced Aqua (Reverse Confetti) CS is a favorite shade of aqua and I use it often! The stitched square and rectangle STAX DieNamics are by My Favorite Things. The sentiment was stamped three times with a MISTI using Versamark Onyx Black ink and is from Concord and 9th's Give Thanks stamp set. Pretty colors and I love that die cut! What a beautiful card! 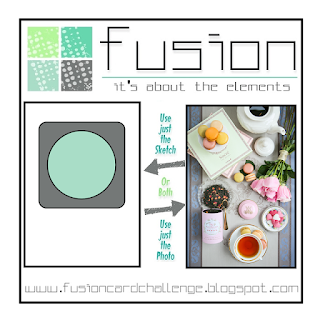 I love all of its elements! Nicely done! 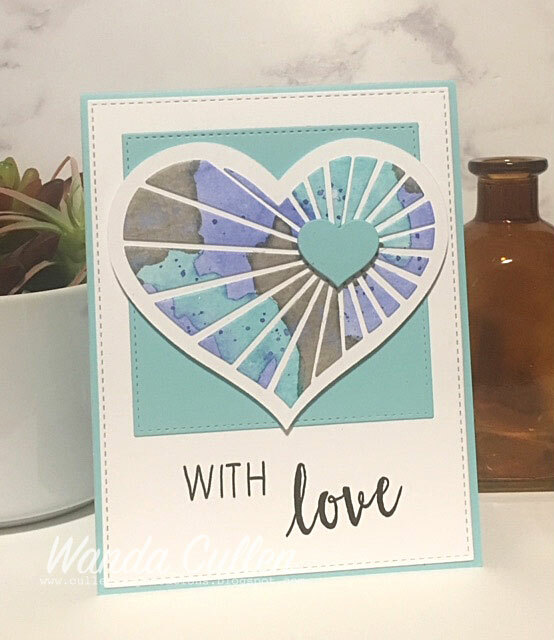 I* LOVE the beauty of your watercolored BG with that Gorgeous heart die! FAB card, Wanda!